APAP- or Automatic Positive Airway Pressure- is a medical grade device quite similar in function to a CPAP machine. The PAP based devices help to deliver a given prescribed air pressure into the airways of the patient, in order to maintain the airways from collapsing. Patients with Central Sleep Apnea or OSA – Obstructive Sleep Apnea need such a device to help combat their apnea events. The air pressure delivered by an APAP is set just as to help push through any obstructions and keep the airways clear and open. The motor of the device– which resembles a compressor. The role of the motor is to subtract the air from the environment (the room), pass it through a special filter, and then pressurize it according to the set levels. Then, the prescribed amount of air pressure will pass through the tubing and ultimately through the mask which delivers it directly into the airways of the patient. The hose of the machine is basically the delivery system. The hose will transport the air from the main unit and into the mask. The hose systems are typically long (6 feet or even longer), which allows for more freedom of movement and patients can store their main units wherever convenient within that distance. The masks – are available in many shapes and styles. One of the most important factors of compliant air therapy is selecting a well-fitting mask. Some patients prefer full face masks, while others the nasal masks. 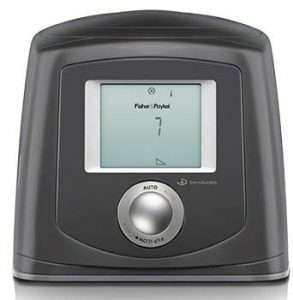 CPAP- or Continuous Positive Air Pressure- devices are usually set to deliver a single pressure setting. The sleep specialist is the one who will determine the required pressure setting for the patient, following a sleep study. However, one of the biggest problems faced by patients wearing a CPAP is this single pressure. Some patients find it extremely difficult to exhale against a high pressure coming from the unit. The patient requires a higher setting upon inhalation to maintain the airways open, but upon exhalation, this high pressure feels quite uncomfortable. This is exactly where an APAP differs from the CPAP. The APAP machines have 2 types of different pressure settings- a lower pressure setting which is the most reduced pressure that is needed by the patient in order to prevent his apnea events, and a higher pressure setting. APAP devices operate based on extremely complex algorithms that help to deliver pressure on a “breath-by-breath” basis, just as needed by the patient. The device is capable of delivering a most natural pressure pattern, following the breathing waveform of the patient. Once the two different pressure levels are set, the machine will deliver pressurized air that stays in between these levels- never higher and never below the minimum required amount of pressure. They are versatile devices. An APAP can also function as a CPAP if needed; meaning that it can be set to deliver pressured air at one single pressure setting. 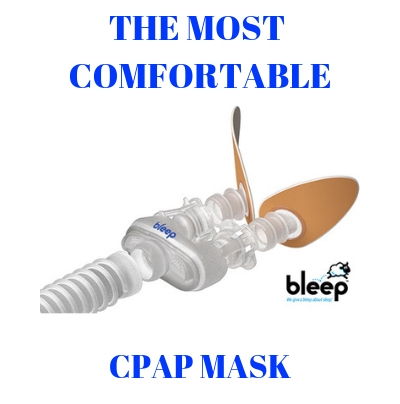 For example, if a patient cannot become compliant with APAP therapy, the machine can be set into CPAP mode, eliminating the need for buying another type of device. The APAP devices are capable of adjusting to different pressure settings based on your stage of sleep. 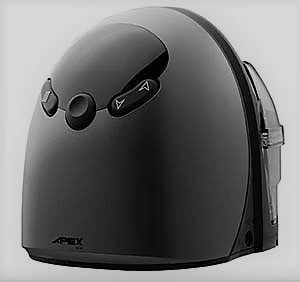 The APAP machine will deliver a higher type of pressure during your REM sleep stage (the deepest, most relaxed sleep when you are mostly exposed to apnea events). However, the APAP will then return to more gentle pressures during the light sleeping stages, thus making therapy more comfortable and also efficient. APAP devices can change the pressure level and adapt to your needs at all times. For example, if you lose weight the risk of apnea events is reduced because you will have less fatty tissue in your throat causing you problems. Then, if you gain weight you will most probably require higher pressure settings because the fatty tissues have become denser/ they have grown and you have difficulty breathing. The APAP can basically adapt even to these lifestyle changes and follow your needs on a breath by breath basis. APAP machines use different algorithms and technologies, so not all machines are the same. However, your physician is the one who will redirect you towards the most efficient type of air pressure therapy in your case. You might need an APAP, but your doctor might also tell you that a CPAP with a fixed pressure is just enough in your case. APAP machines are also more expensive, but they cater mostly to patients with more precise and complex requirements in terms of oxygen therapy. 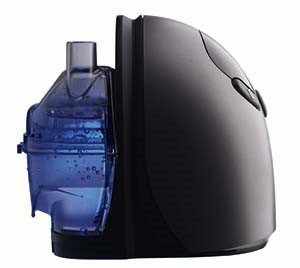 I am interested in an Air mini but I have reservations of not being able to use a humidifier (humidx) with my Airfit F20. I’m afraid that Resmed will come out with a new version that will accommodate the Airfit f20 with Humidx and I will not be able to retrofit the current Air mini.